Automatic Roll Up Awnings are the most popular awning providing a cost effective shade solution for ground floor windows, patio and balcony applications. Minimal projection can be achieved to minimise space. Easy to use self locking arms enable easy operation by hand or pull stick. 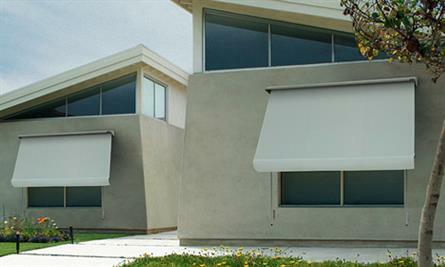 Sunlight Products sources an extensive range of Fabrics from all of the major Fabric Suppliers to the awning industry. An optional awning hood is available in a decorator range of colours, complementing the overall appearance of the awning as well as helping to protect the fabric when the awning is not in use. 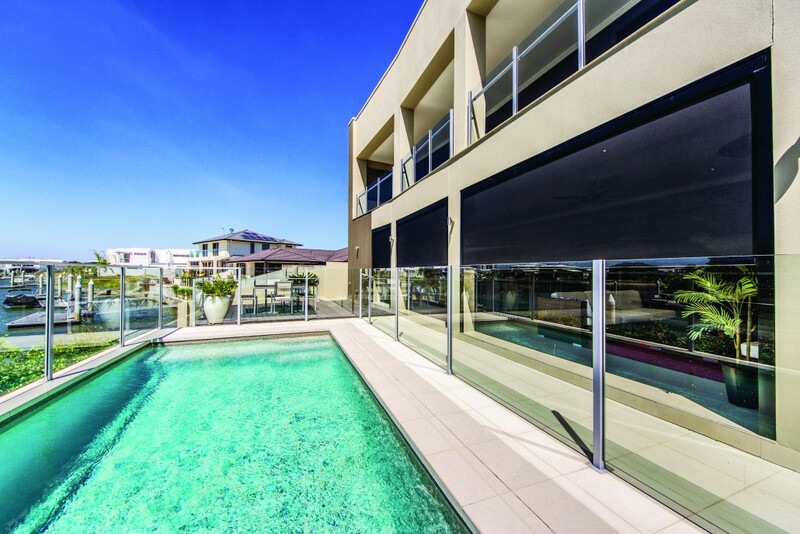 Fixed Guide Roll Up Awnings are recommended as a cost effective shade solution for high windows where the bottom of the window is more than 2 metres from the ground. From the street, the Fixed Guide Awning has a similar appearance to an Automatic Awning, however it is operated by a cord down the wall, tied off to a cleat; or externally or internally operated with a winch. Sunlight Products sources an extensive range of Fabrics from all of the major Fabric Suppliers to the awning industry. An optional awning hood is available in a decorator range of colours, complementing the overall appearance of the awning as well as helping to protect the fabric when the awning is not in use. Provided the awning is installed with a hood fixing points can be located anywhere along the full width of the awning hood at the top. Fixing of the guide rails and standout arms can be positioned anywhere along the bottom rail. 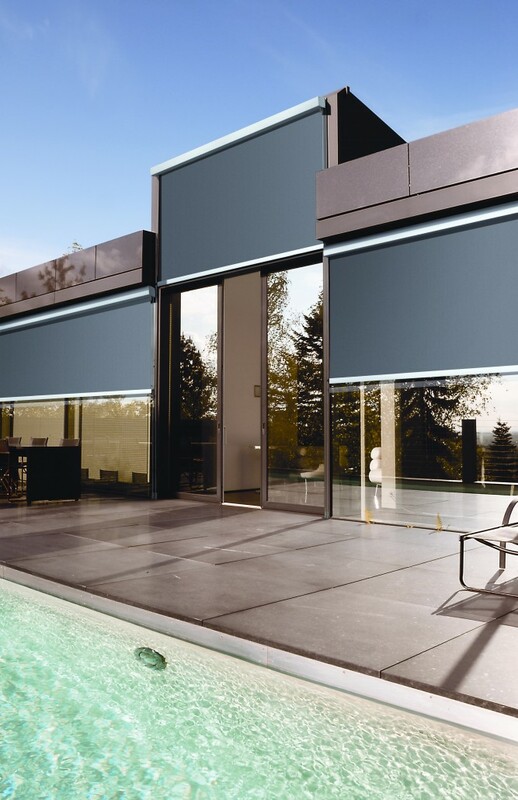 Therefore fixing is not required at the very ends of System 2000 Automatic Awnings as it is with the standard Automatic Roll Up Awning. System 2000 Awning Hoods are available in a decorator range of colours complementing the appearance of the awning as well as protecting the fabric when not in use. Sunlight Products also sources an extensive range of Fabrics from all of the major Fabric Suppliers to the awning industry. 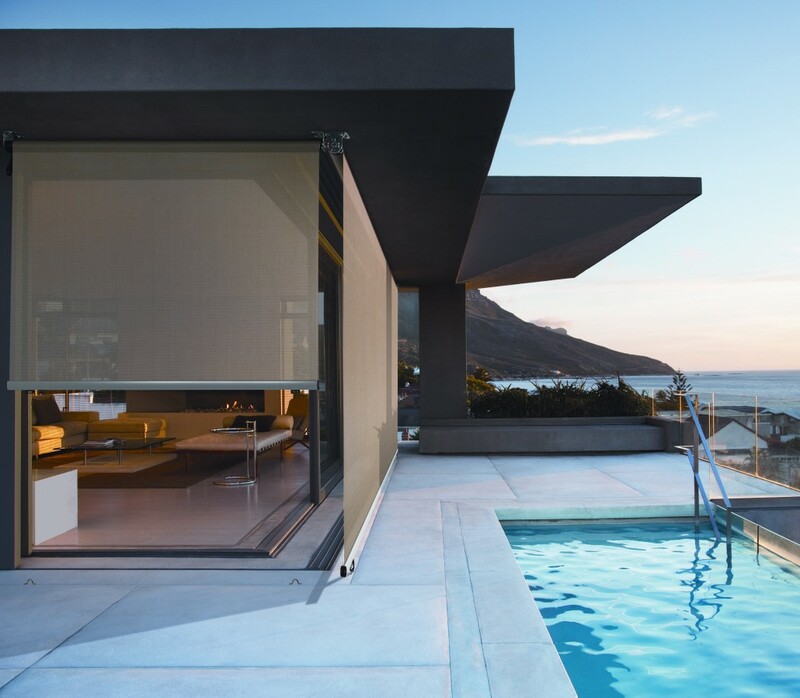 Convertible Rope Operated Awnings are the most popular ‘easy to operate’ awning, Providing a cost effective shade for windows at all heights – ground floor, first and second storey. Rope operation can be tied off externally down the wall to a cleat or winch operation; or internally to a shutter winch. Alternatively, motorisation is available with switch operation or remote control. 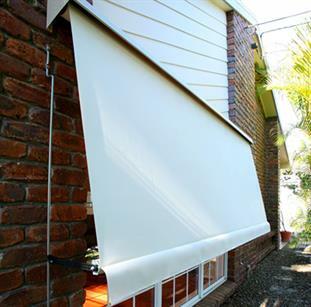 Sunlight Products sources an extensive range of Fabrics from all of the major suppliers to the awning industry. 1/2 drop of awning unless you specify. Shutter Winch can be used with flat tape instead of 6mm rope and cleat; for internal control awnings. RUA Winch must be used with flat cord operation instead of 6mm rope and cleat. 240V AC; Somfy LT50 and LT60 tubular motors are mounted inside 50mm, 63mm roller tubes. Switch operated or remote control are available. System 2000 Pivot Arm Rope/Cord operated Awnings are especially ideal for cladding and fibro style applications, where fixing is not required at the very ends of the awning, as it is with the standard Convertible Cord/Rope operated Awning. Provided the awning is installed with a hood, fixing points for the System 2000 Pivot Arm Awning can be located anywhere along the full width of the awning hood at the top , as also can the fixing of the pivot arms be positioned anywhere along the bottom rail. Shutter Winch can be used with flat tape instead of Tie off Cleat or Tape Box. System 200 Pivot Arm operated by Gear Mechanism and Crank handle 1800mm. Boat winch can be used externally with 6mm rope operation. 240V AC, Somfy LT50 and LT60 tubular motors are mounted inside 60mm roller tubes. 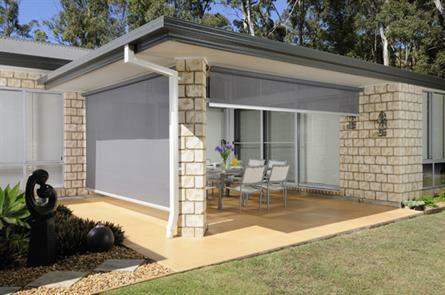 Verandah Straight Drop Awnings provide sun protection and privacy where there is minimal space for the operation of other types of Roll Up Fabric Awnings. Cord operation through a system of pulleys raises and lowers the awning.The rope can be tied off to a cleat or external awning winch. An awning hood is available in a delightful range of colours, complementing the overall appearance of the awning as well as helping to protect the fabric when the awning is not in use. 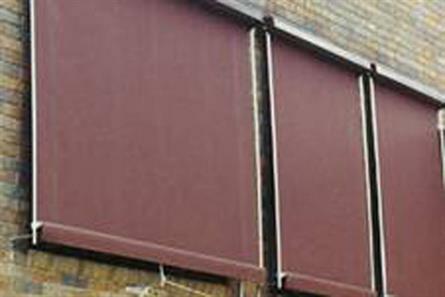 Awning rolls from the bottom and is raised and lowered using 6mm rope passing through a series of metal pulleys. Rope can be tied off to a metal cleat or a Boat Winch is an optional extra to be used externally. 300mm, 450mm, 600mm, 900mm, 1000mm PVC straps attach the bottom rail end cap to a breeching staple mounted onto the floor, railing, or side posts – depending on the application. Reinforced strap cutouts in the fabric along the bottom rail is an option instead of straps at the ends of the bottom rail. 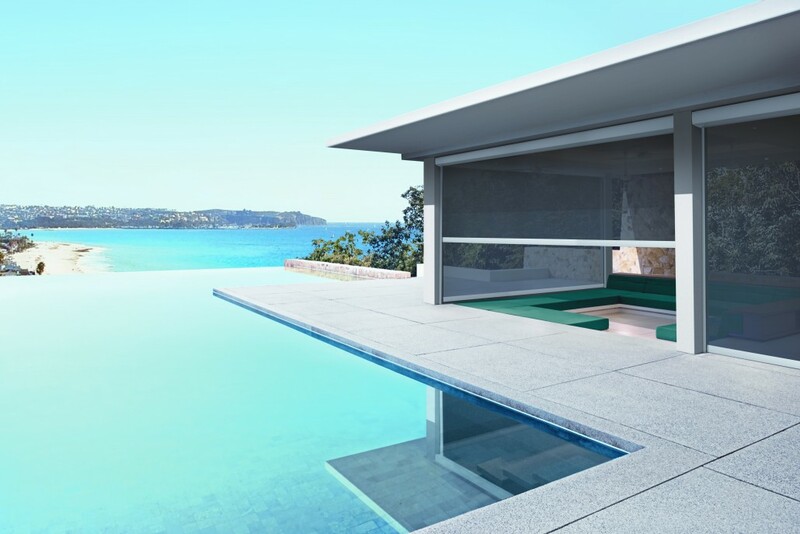 Aluminium awnings are the ultimate in sun protection, reflecting the heat away from the awning. 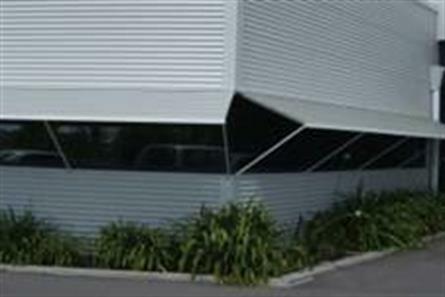 The Horizontal fixed aluminium awning is a cost effective solution for shade over doorways and windows. An extensive range of colours is available to complement any home. Omar, White, Biscuit, Tuscan Red, Federation Green, Bourke Brown, Heritage Red, Beige, Silver Pearl, Primrose, Rivergum, Merino, Homestead, Torres Blue, Anvil, Galaxy, Black. Arm to Fascia Bracket; Adjustable U Bracket for Arm to Wall fixing; RUA Wall Bracket for wall fixing. 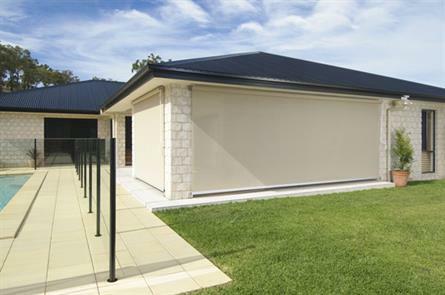 The Wire Guide Awning provides a great contemporary shading solution externally, for large spans of glass, large verandah and patio areas. The Wire Guide awning features highly polished and corrosion resistant stainless steel fittings along with stainless steel cabling which suspends and secures the awning on either side, so that it is capable of withstanding light to medium strength winds. Multiple bracket sizes and glass filled nylon endcaps add extra stability. 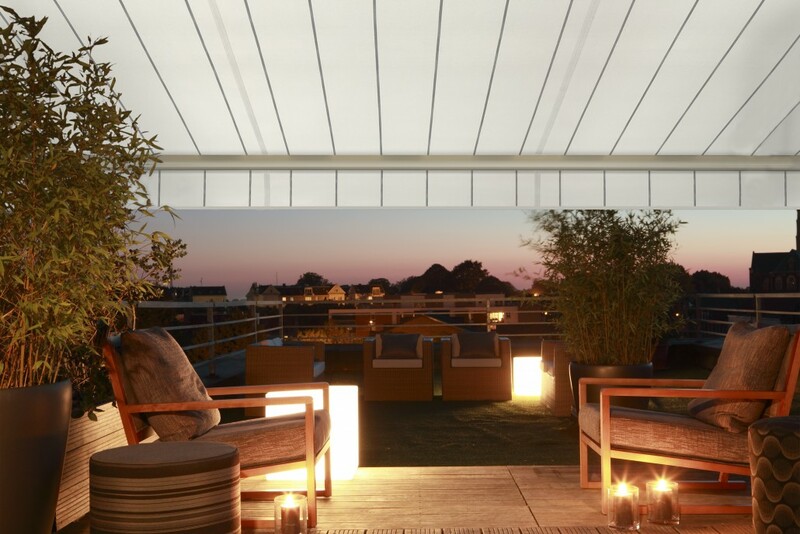 The slimline bottom rail creates a minimalist look for the overall appeal of the awning. 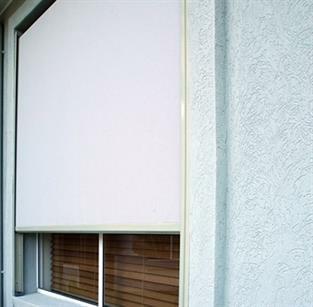 Ideal for Sunscreen woven mesh fabrics, this awning effectively reduces glare and UV without obstructing the outside view. 240V AC; Somfy LT50 and LT60 tubular motors are mounted inside 50mm, 63mm roller tubes. Switch operated or remote control are available. 1000mm, 1200mm, 1600mm, 1800mm, 2200mm. 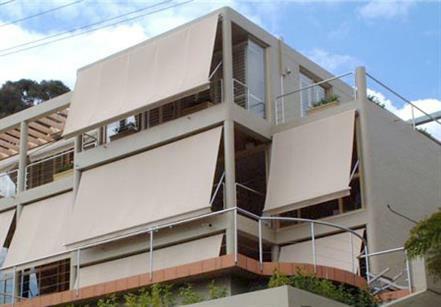 Side Channel Awnings are spring loaded rollup awnings with specially designed side channels which allow the awning to stop in several positions as it rolls up . Snug fitting Side Channel Awnings are ideally suited for windows where there is limited room for standout arms and guide rails.